Love ‘em or hate ‘em, MBA video essays are a requirement for many modern business school applications. While not all schools include them in their admissions process (yet), top programs such as Rotman, Yale, and Kellogg are using video essays as a tool to get a sneak peek at how their candidates fare off-paper. MBA video essays can take on different forms but the most common is in the form of a filmed interview. Once you begin, you will be provided with a list of questions that require a timed response. While this format slightly resembles that of an in-person interview, the experience of a video essay is much different. When engaging with another person, you have the opportunity to direct your answer based on subtle cues provided by your interviewer (i.e. an understanding nod, verbal affirmations… a look of extreme boredom). Unfortunately, video cameras give no such feedback. Many people find video essays to be more challenging than interviews or even written essays. Because there is little time to prepare your answer and no cues to indicate how you’re performing, they require quick thinking and leave no room for second guessing. If the prospect of recording your MBA application video essay is totally stressing you out, we come bearing good news. 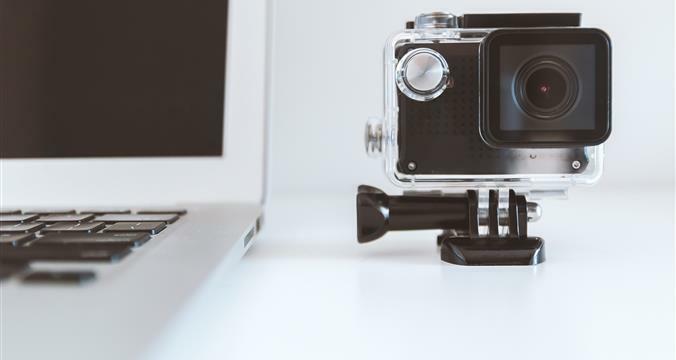 While the idea of being on camera is a nerve racking prospect for many MBA hopefuls, your video essay is more likely to be a positive contribution to your application than a deal breaker. As with interviews, the key to a successful MBA video essay is getting in plenty of practice. Because there is no such thing as a right or wrong answer when it comes to this part of your MBA application, the best answers are those delivered with confidence and authenticity. 1. Responses to the video essay questions are timed so you must be succinct! Set a stopwatch and time your responses to some sample questions. Afterward, gather your thoughts and plan a way to deliver them in a concise and thorough manner. Then, answer again with a timer set for one minute. You may be surprised to discover how much you can actually communicate in 60 seconds. 2. Film yourself while practicing so you become comfortable with speaking into a camera. When you watch the footage, be aware of your body language, eye contact, vocal cadence, tone, and hand gestures. The key is to come across as thoughtfully natural. Be deliberate, not sloppy! 3. Most schools don’t provide their applicants with the questions they’ll be asked during their video essay... so while you may not know exactly how you’ll answer, keep in mind that all schools are looking for students with a clear understanding of their goals and positive assets. To prepare, make sure you can easily explain why you want to get your MBA and know the unique contributions you can make to their school. Use your responses to support the content in your application as you exhibit enthusiasm and earnesty. Who has had a powerful influence on your life and why? Pro Tip: Don’t wait until the day of to determine where and when you want to do your MBA video essay. Nothing will throw your game off more than being interrupted by a roommate or a barking dog. Be sure you set yourself up for success simply by planning ahead. 1. Straighten up. This should go without saying but an unmade bed or a sink full of dirty dishes in the background will come across as careless and unprofessional. We aren’t suggesting you spend an entire day cleaning house, but an hour-long tidy will make a dramatic difference. Better yet, save some time and film against a blank wall. 2. If you want to wow the admissions committee with your charming personality, they need to be able to see your face. Be sure to record your video essay in a well lit room. Avoid backlighting or filming at night. If possible, choose a seat where you will be illuminated by a window. 3. The most critical element of all video essays is that you use an effective microphone. Test yours out beforehand to ensure you are speaking clearly and loudly. With all the effort you’re going to put into practicing and setting up, it would be a shame if the admissions committee were unable hear a word you say! Above all, relax. The MBA video essay is a relatively small part of your application so try not to let your nerves take over. Remember that this is your opportunity to let your personality really shine so don’t get so wrapped up in what you say that you forget to demonstrate who you are. Set aside the time to properly prepare, put on a suit and a smile, and let the camera roll!